The Inca Jungle Tour is a fantastic alternative route to Machu Picchu combining mountain biking, white water rafting and hiking. This action-packed adventure takes you into the Peruvian jungle, along a beautiful section of the original Inca Trail, and finishes in Machu Picchu – one of the most incredible locations on the planet. You will experience a variety of stunning landscapes including; the Andean mountain range, cloud forest, the Urubamba River and the jungle. We will also have time to explore local banana, coffee and avocado plantations. With such a unique and varied itinerary , its not hard to see why the Inca Jungle Tour is now one of the most popular routes to Machu Picchu. 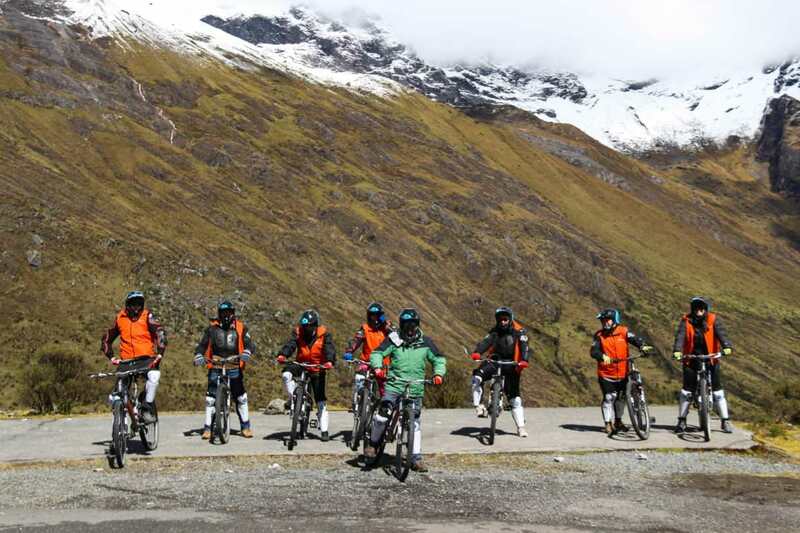 If you are searching for a multi-sport adventure and want to experience as much of Peru’s wonderful scenery as possible – this is the ideal tour for you. We will pick up up from your hotel at around 6.am and drive to Ollantaytambo where we will have breakfast in a local restaurant. Your adventure starts with a climb to Abra (4350 m / 14271 ft) from which point we will get straight on our mountain bikes. Along the ride you will be able to enjoy breathtaking views, pass rural villages and beautiful rivers, and look out for tropical orchids and birds. We will pass two archeological sites: Incatambo and Wamanmarca, stopping in Wamanmarca for a well-earned lunch. After a rest we will take our private bus to Santa Maria – a stunning place where we will enjoy two hours of white water rafting in the Urubamba River. We will have dinner and spend the night nearby in a rustic lodge. Today you will wake up in the middle of the Peruvian jungle to the beautiful sound of the tropical birds. After breakfast and a cup of fresh homemade coffee we will spend some time exploring the local coffee, coca, banana, and pineapple plantations. 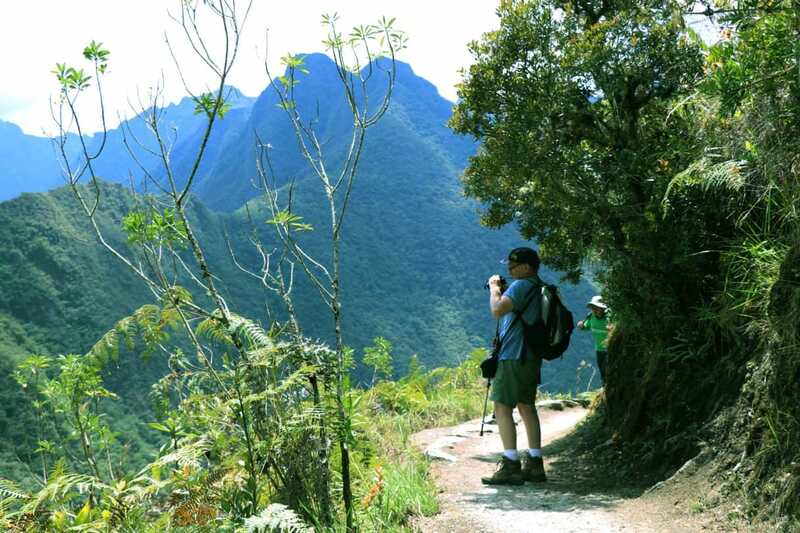 After a walking tour of the area, we will begin our hike – using a stunning and original Inca trail that connected Machu Picchu with Vilcabamba. Along the way we pass avocados, maniocs, oranges, mangos, cacao, coffee and coca shrubs. After about a 4 hour hike along this trail we ill arrive at Quellomayu, where we will break for lunch. It’s then another 4 hour walk upstream along the Urubamba River to the hot springs of Cocalmayu (pure volcanic water). The water here is believed to be medicinal and is good for your bones and muscles, and relives stress and headaches. After a relaxing soak in the hot pools, we will take a bus to Santa Teresa and, again spend the night in a rustic lodge. Today is arguably the most beautiful day of our Trexperience! 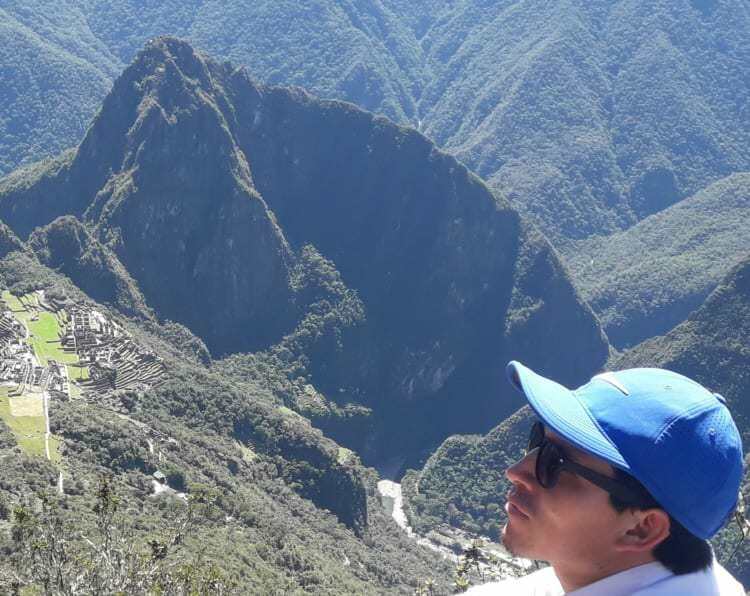 After enjoying a delicious breakfast we will make our way to Lucmabamba (2,000m/6,600ft), here we will join an original Inca trail, built in the 15th century. 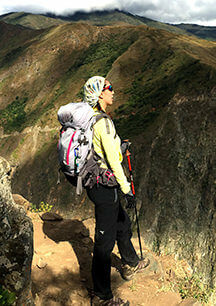 We will walk along part of the ancient, lost Inca trail that was only rediscovered a few years ago. 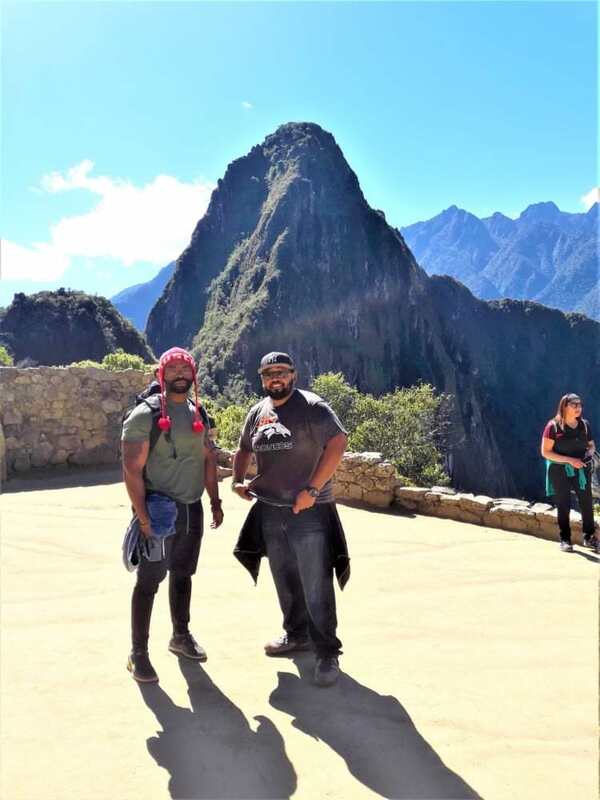 We will hike uphill for approximately 3 hours until we reach Llaqtapata; another extraordinary Inca ruin located right in front of Machu Picchu. Here we will take some time to explore, learn about the history of the Incas, and enjoy the beauty of the site. Its then a relatively easy 2 hour downhill trek to the hydroelectric station where we have lunch. After lunch you can take a train or hike (optional) to Aguas Calientes, arriving at around 5 pm. Once in Aguas Calientes your tour guide will take you to your hotel where you will have some time to rest and freshen up. In the evening we will enjoy a final dinner together before spending the night in the hotel. All Trexperience guides have received training in first aid and high mountain rescue. In the event a guest requires medical attention while on the trek our staff will be able to assist you. A medical kit is by the team at all times. In extremely rare case of a serious medical emergency you will be evacuated to the nearest medical centre.